Lessons How do you achieve the right mindset in business? Grant Leboff: So Damien in the book you talk about having the right mindset and I think more than just having the right mindset it’s also maintaining it and of course Sir Alex was fantastic at that because he won title upon title, trophy upon trophy, and somehow managed to maintain that himself and with the rest of the team, but you tell a wonderful story in the book after the United players came back in ’93, I think it was after winning their first title about how he helped them keep the right mindset, I wonder if you can tell us that story? Damian Hughes: Yeah very much I would love to. So in the summer of 1993, United have broken the twenty six year hoodoo of never winning the league before and the club and the city were euphoric at the time. 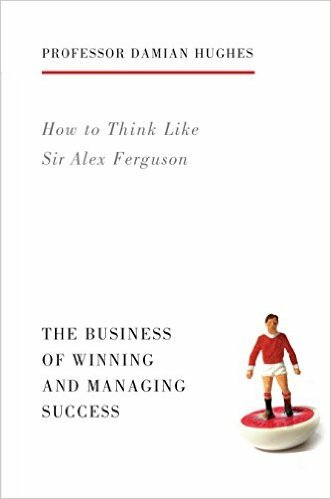 So Ferguson chose to give himself an extended holiday because he felt that this was going to represent, at that time was his greatest challenge, which was not only winning it but how do you maintain it and go back and do it again. So during that period he looked at different ways of achieving it and one technique he used was, when he came back in the first session, he gathered all the players in the room and he gave them a speech, the premise was that he said that he’d studied the character of each of the players that had been re-selected of his squad for the new season and he felt there were two players that were sated with the success that they’d had. They felt that they felt that they’d achieved everything and they’d grown a little bit complacent. So Ferguson told them that he’d written the names of these two individuals down in an envelope which he showed to the players and he was going to lock it in his desk draw and at the end of the season he would reveal the two names and find out how accurate it had been. Now in the course of the book, I interviewed a number of the players and again the reaction is key. Ferguson walked out of the room and the players said that they all say there and laughed at the story he told, but then after a couple of seconds they suddenly started to take a slight furtive glances at each other and ask who do you think it might be? Now Gary Pallister tells that over the course of that season it almost became the theme of the whole season where, after a couple of games they’d go and approach Ferguson in the dressing room and say will you tell us who the names are, and Ferguson would always maintain “no, no I’ll tell you at the end of the season”, and this would go on at least once a month. At the end of the season when they’d not only retained the league again but they did the double by beating Chelsea 4-0 at Wembley, Pallister recounts how, when they were parading the trophy round the famous old stadium, even there at their moment of greatest euphoria, Pallister sidled up to Ferguson and said “who was it? You can tell us now”, he said Ferguson laughed and said, “There were no names in the envelope, because if there had’ve been, those people wouldn’t have made it back in the dressing room, because this is a club that just moves on, we don’t rest on our laurels, we progress ever further forward”. And again, this what you say about how do you maintain success? Well often it’s about getting people to retain that hunger, that focus and that same desire to want to go do it again. Grant Leboff: And what’s amazing about that story is what he started to foster by them retaining the title then, is a culture of success. It was a technique, wasn’t it, to make sure everybody stayed hungry, but then what he managed to do is that he started to create that culture which obviously became embellished, because they did so well. Were there any other things that he did to make sure that people maintained that hunger? Damian Hughes: Yeah very much. He was a great story teller and it would appear that when you spoke to people at work with him, he had a stock of about ten to twelve stories that he would use at key moments, and one of his favorites, so one of the stories he would say is “where do you want to go on holiday guys? He said some people are happy to go to Blackpool, some people want to travel to the moon. You decide which one you are”. But his favorite story he would tell is about a young boy walking along the building site with his father and the young boy stops the first builder and says “what you doing?” The builder says, “I’m laying bricks”. When they reach the second builder, he says “what you doing?” The builder says “I’m earning ten pounds an hour”. When they reached the third one the builder says, “I’m building a magnificent cathedral that one day I will be proud to bring my own children back here and show them just what their dad contributed towards”, and Ferguson would tell this to players and say, “which builder are you? Are you the guy that’s happy to come here and just kick a ball around without every thinking about the consequences of it? Or are you the second builder that is coming in here because you’re conscious about how much money you’re getting paid? Or alternatively, are you the third builder, are you the guy that’s coming in to this environment to help build the greatest football team the world’s ever seen, a team that one day you can show your own children what you contributed towards?” And then he’d walk out the room and allow the players to decide which one they were. Now again in that treble winning season, when he used that story, there’s a great anecdote that I was told, that afterwards the players went out on the training pitch and David Beckham scored a thirty yard free kick and as it landed in the back of the net, Beckham ran away and shouted toward Ferguson, “Cathedral builders one, bricklayers nil”. Now what he was doing by sort of using challenged like that, is that there’s only three reasons why any of us do anything. There are three reasons why we run businesses, three reasons why we sit here, three reasons why we write books. You do things first of all through desperation because you have no choice, you do it just through that primal instinct that’s the only thing you know to do. The second reason you do anything is through a rationalization because you realize that’s what you’re best equipped to do and that’s where you get your best return on your investment, it’s very much a logical rational decision. Or the third reason is you do things through inspiration, you do it because you just love it, you do it because you’d do it even if you weren’t getting paid for it, and Ferguson realized if you’re going to keep coming back and maintaining success time and time again, whilst all three reasons are valid, the one that’s going to keep sustaining success is when you act from a place of inspiration and that was his constant challenge, to bring people in that felt inspired, to want to keep achieving the unprecedented success that he managed. Grant Leboff: And that’s a great lesson for business leaders isn’t it because even more in the work place it’s probably about earning a wage for a lot of people if you’re honest, and not about the bigger vision and what Ferguson gave everyone and what business leaders to do, is give their team a bigger vision. 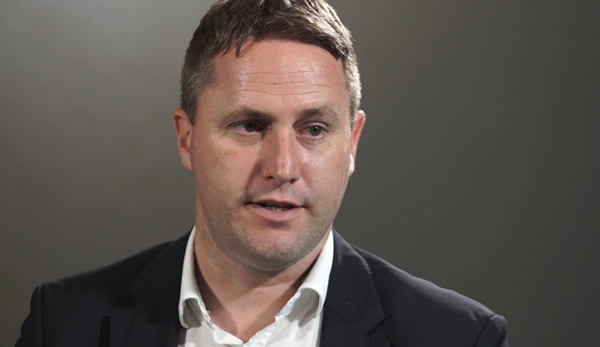 Damian Hughes: Sure and it, whilst it would be derided in most businesses when you talk about happy teams win, teams with inspired people naturally will want to do that discretionary effort, to distinguish themselves from their rivals. Yet realistically how many businesses ever measure their levels of happiness or inspiration within an organisation. We might pay deference to engagement scores, but how of us actually recognize that the more engaged your staff are the better they will be quite naturally?